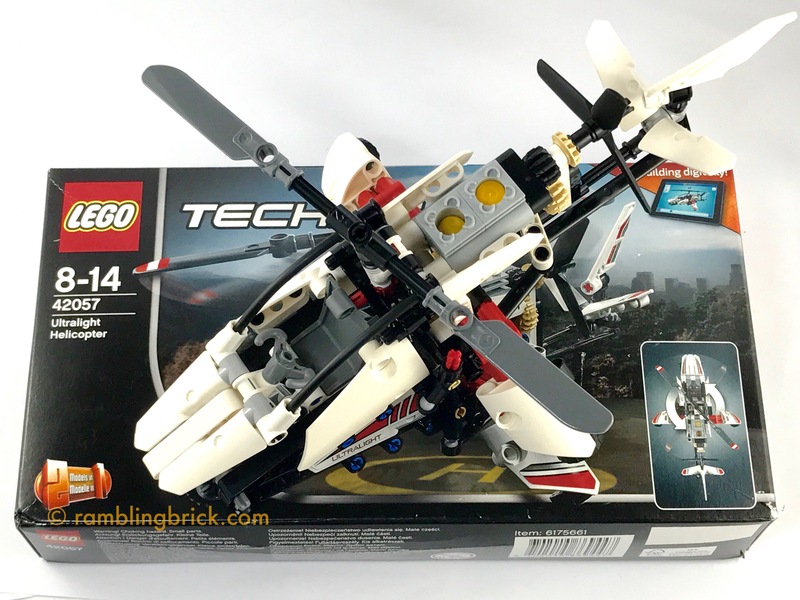 At last it has happened: I have pulled apart my Microlight Helicopter 42057 , torn down the Telehandler 42061, and dismantled the BMW Motorrad Concept Hoverbike, the B-model of 42063 . I then sorted their component parts, in to compartmentalised boxes. Not all of these elements are from the sets purchased this year: they have arrived from a variety of sources. But they are now sorted! With Extreme Prejudice. Lots of compartmentalised containers: connectors in one; beams in another; gears and axels and panels. And random, hard to define, parts all in one flat box. I could have probably worked with several more compartments, or indeed boxes, but the process seems to have worked. So. Many. Elements. Between these sets, we end up with around 1060 pieces, give or take. Of these, approximately 570 are used in this model. This is the first time I found myself with so many technic pieces in one place. This was not helped by incorporating the other technic elements which had made their way into the house over the last few years. I was amazed at how few of these pieces were ‘gears’: I’m sure the the gears what I remembered being the big thing that distinguished those early technical sets from LEGOLand and universal building kits. This is the first time that I have built from instructions for a set I don’t own, with parts so immaculately sorted. It was a strange feeling. Knowing that all the parts were there, having built the original models, and pulling them apart directly into the sorting box was anathema to my normal building style. 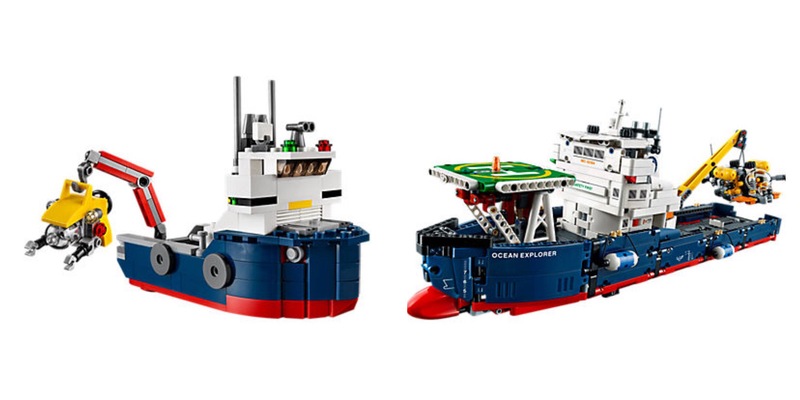 Two of my favourite, small Creator Sets from 2016, the Ocean Explorer (31045, 213 pieces, $AUD 24.99) and Super Soarer (31042, 100 pieces, $AUD 15.99) have grown up. If I didn’t know better, I’d say they were revamped, bulked up and given a new lease of life as Technic Sets.